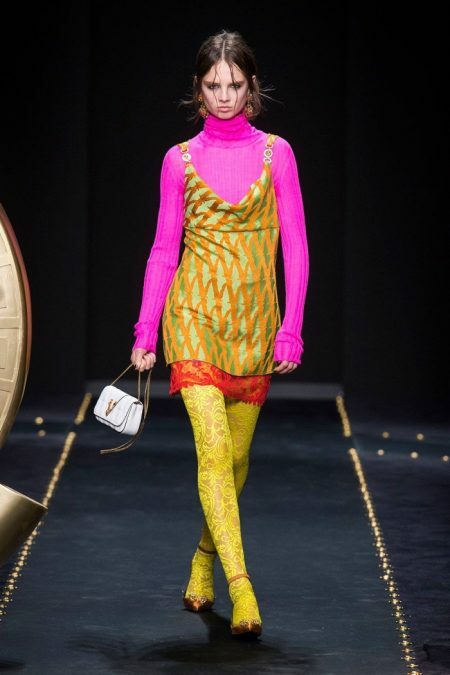 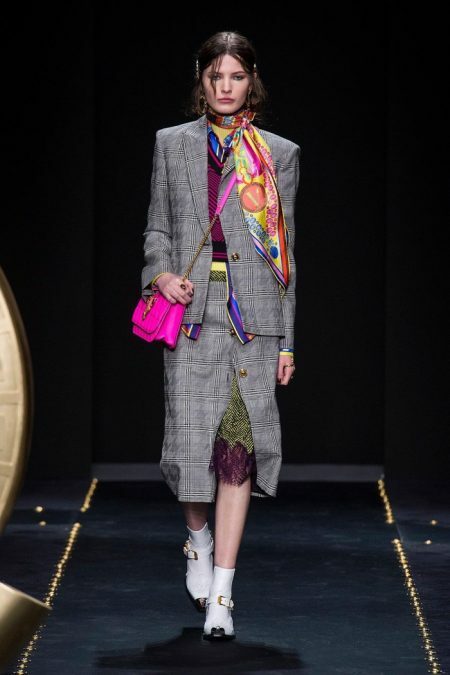 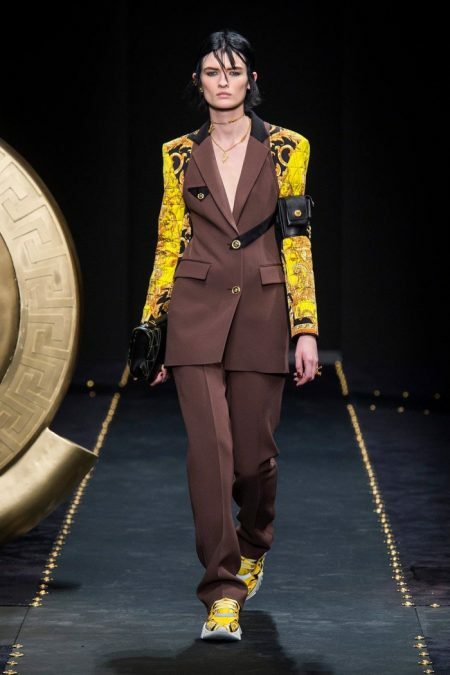 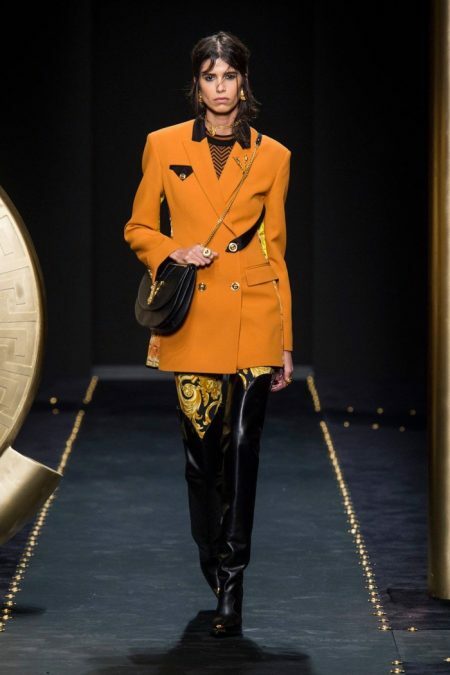 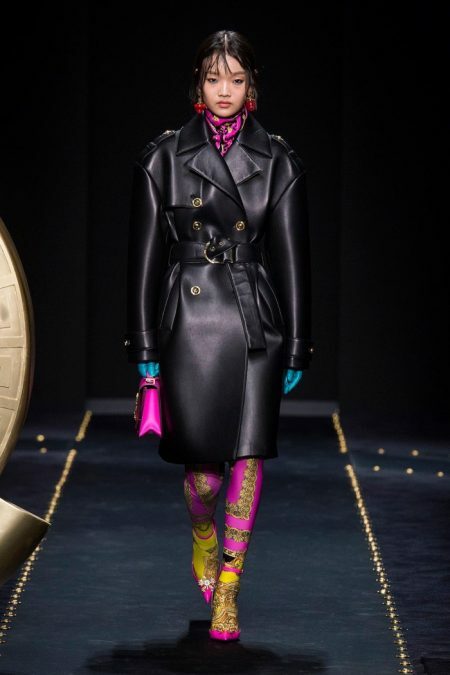 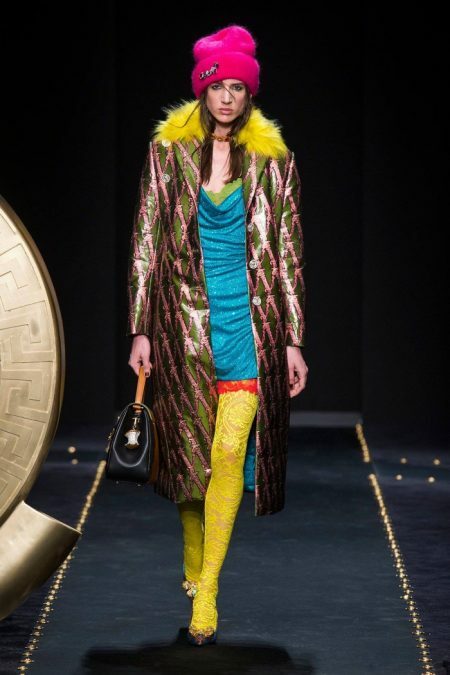 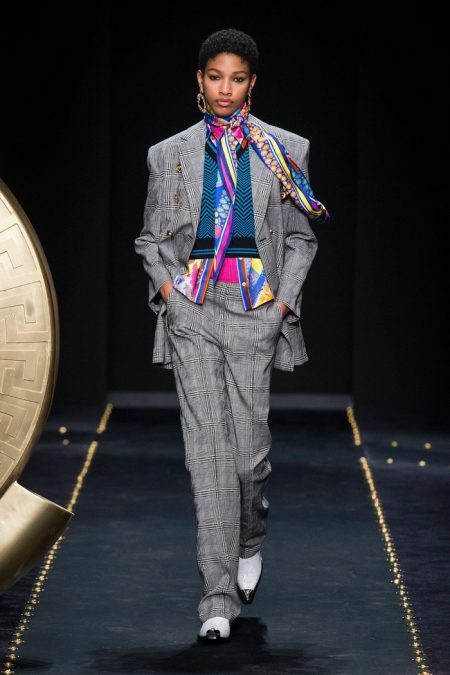 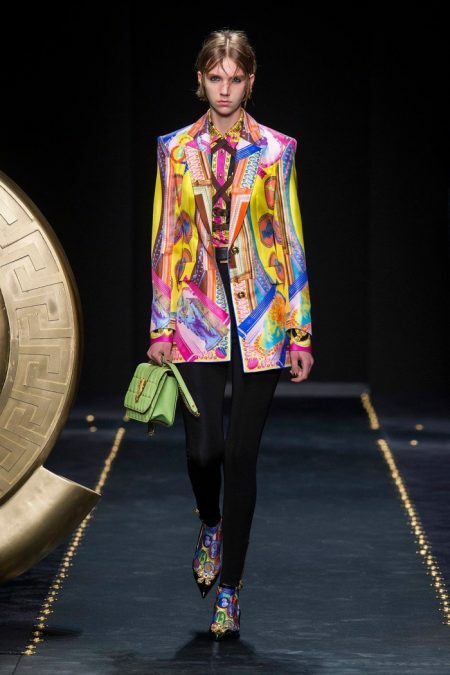 Versace continues its 90’s appreciation with its fall-winter 2019 collection presented during Milan Fashion Week. 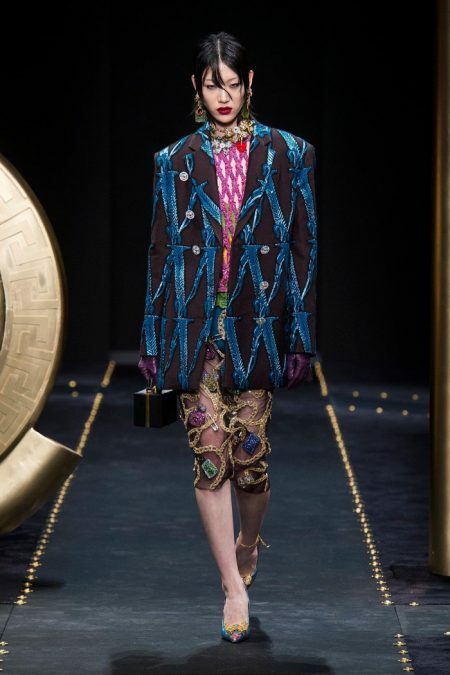 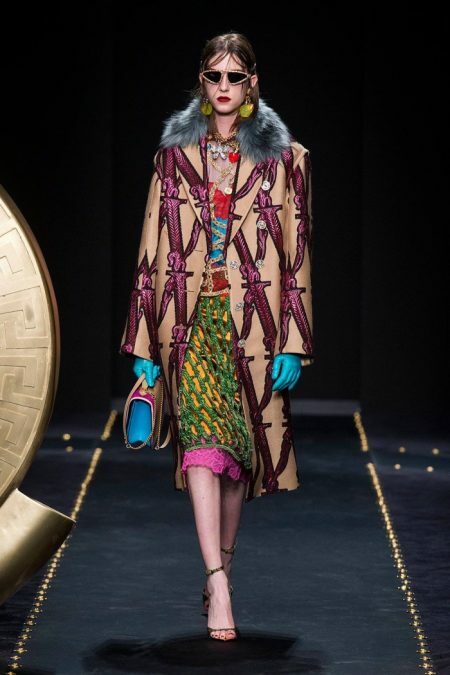 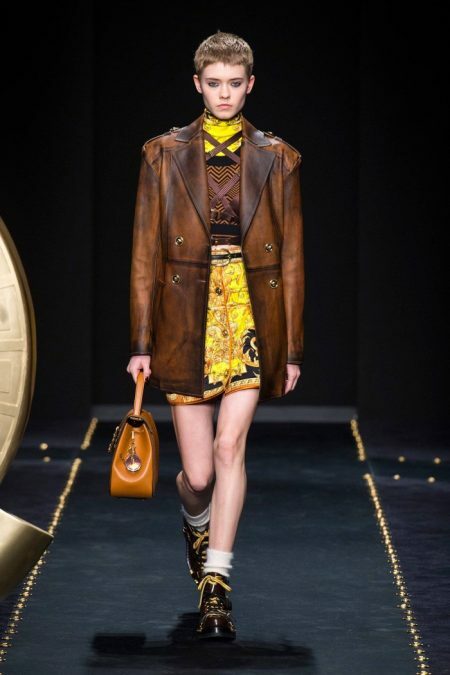 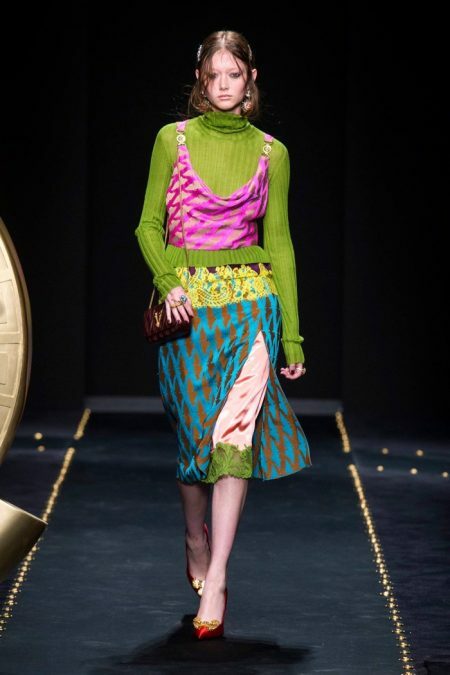 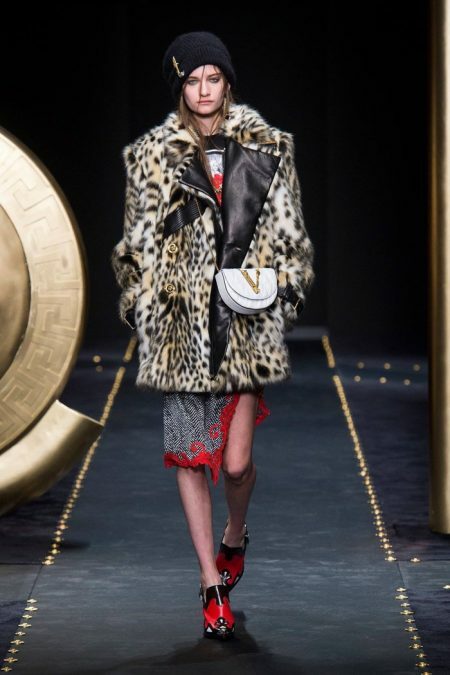 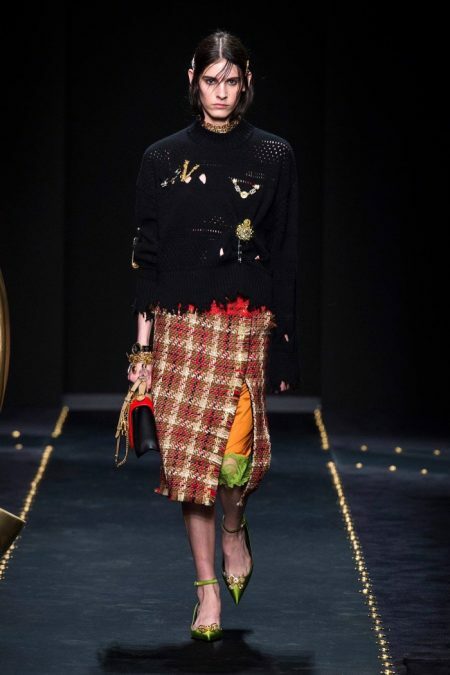 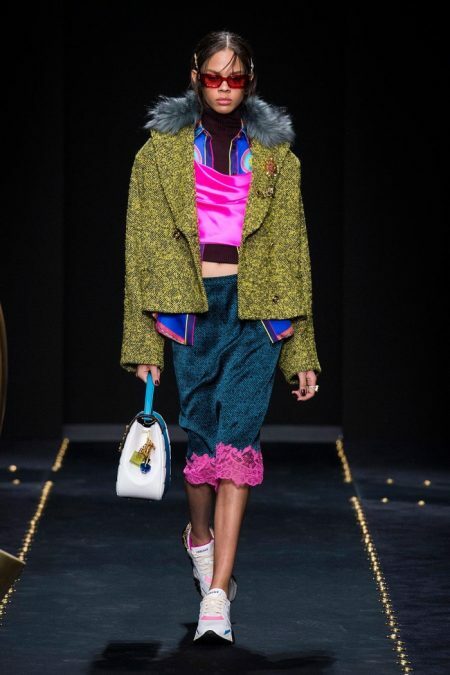 Donatella Versace juxtaposes the house’s signature glamazon appeal with grunge style. 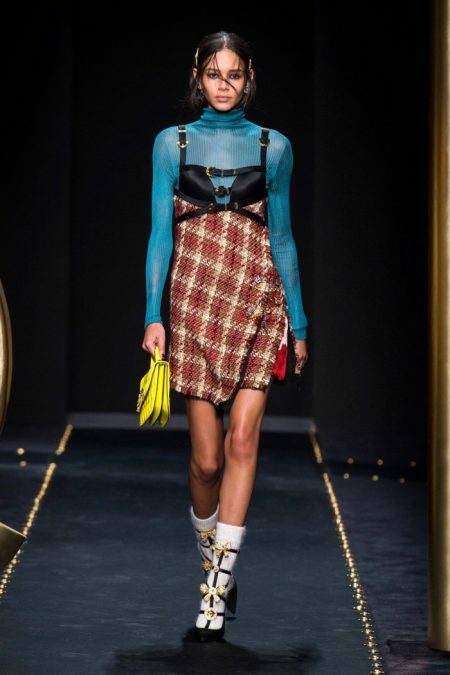 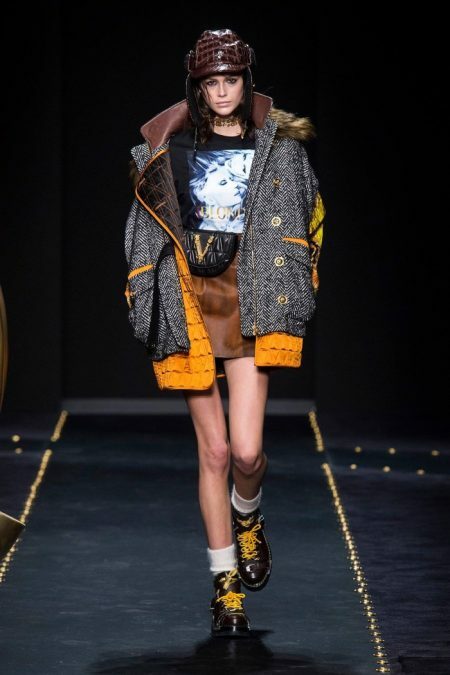 Played with a Nirvana soundtrack, the runway collection features turtleneck sweaters and harnesses as well as plaid miniskirts paired with cropped shirts. 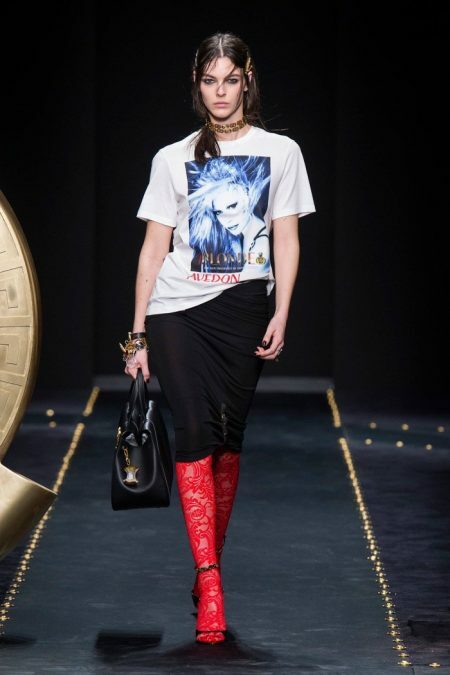 The 1990’s tribute also includes printed t-shirts with images of Donatella captured by Richard Avedon for the fragrance, ‘Blonde‘. 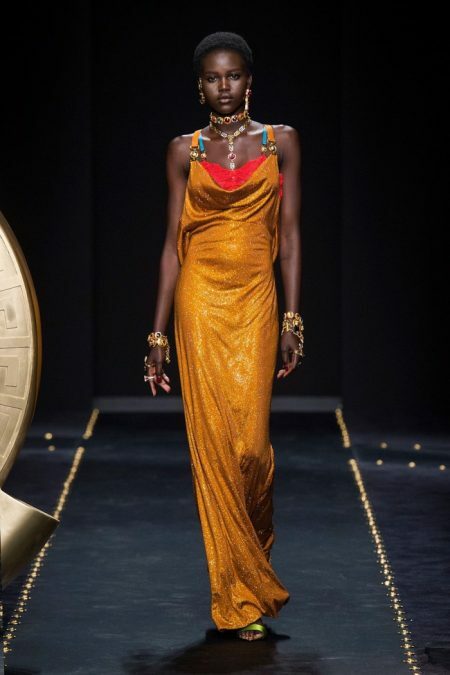 “Bold women feel free to stay away from what is expected. 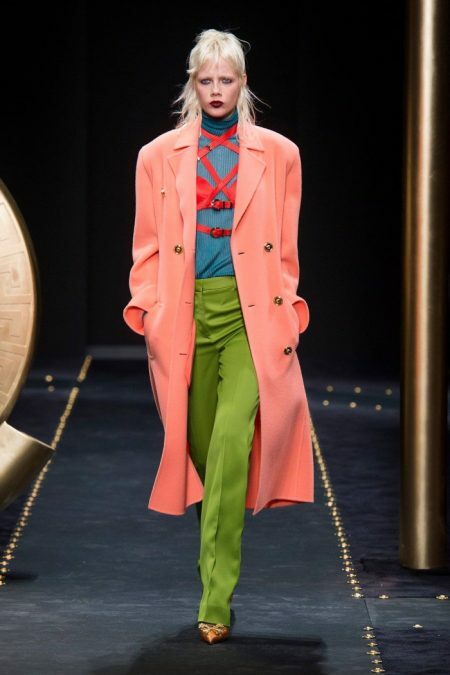 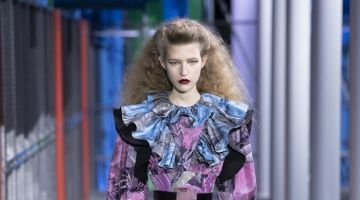 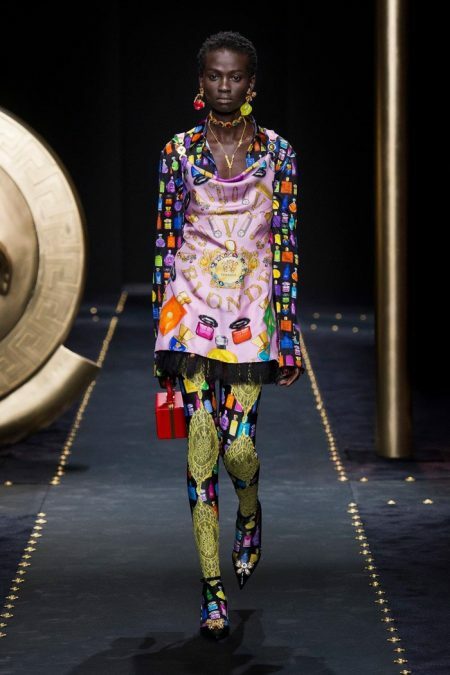 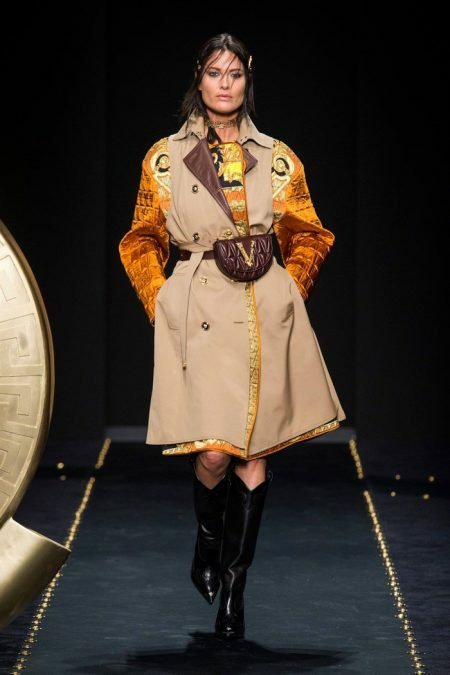 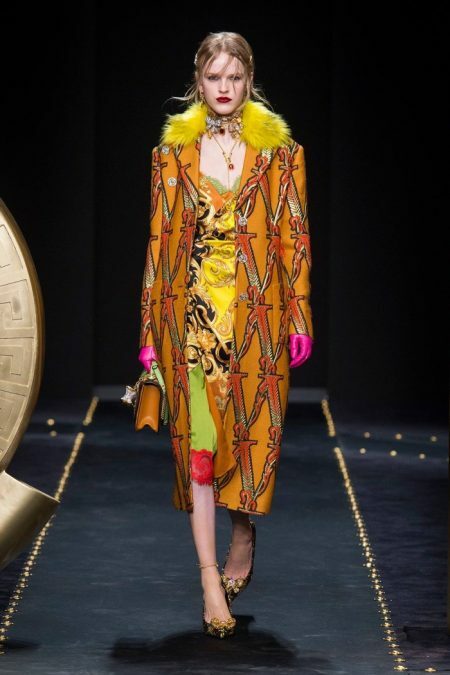 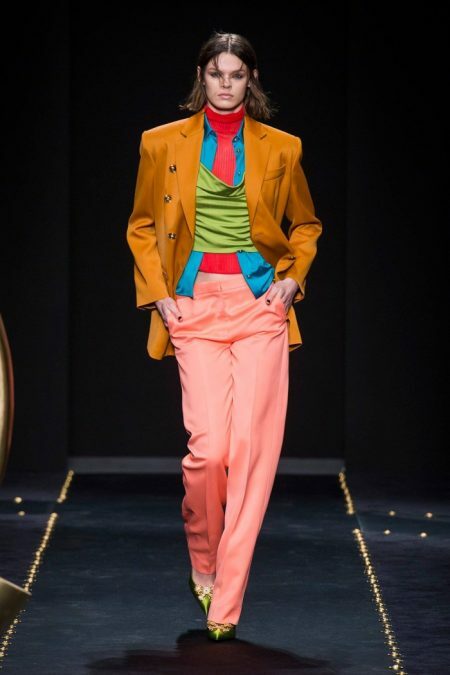 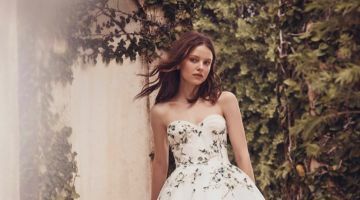 With this collection, I wanted to show that side of a woman that isn’t afraid to step outside of her comfort zone because she knows that imperfection is the new perfection,” says Donatella Versace. 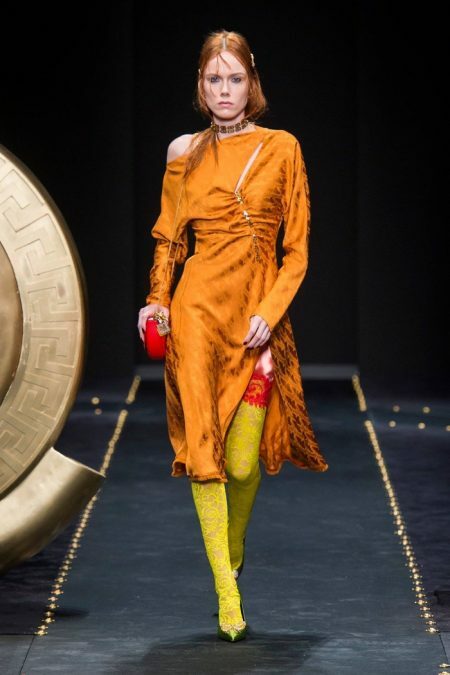 The runway show cast includes stars of today and the past with Shalom Harlow, Gigi Hadid, Irina Shayk and Stephanie Seymour (who closed the show).